Home Machine Learning New Phishing Scam Seeks to Help Wildfire Victims… With Google Play Cards??? 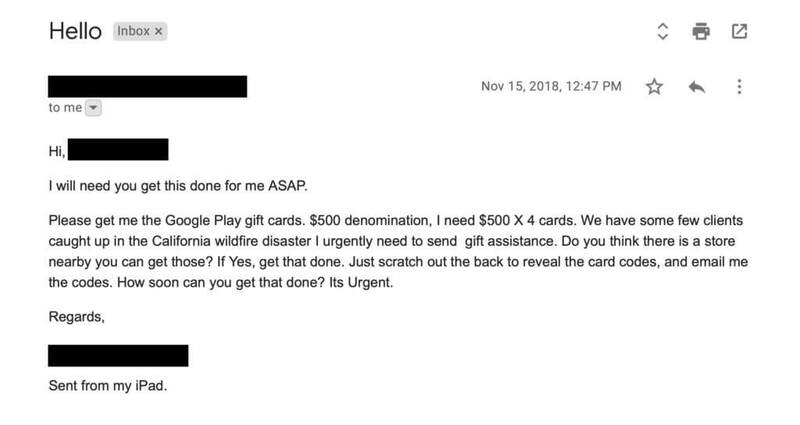 New Phishing Scam Seeks to Help Wildfire Victims… With Google Play Cards?? ?